Our food used to come straight from the farm to the table, but as our lifestyles changed, so did our diets. Much of what we eat now is processed and factory-crafted (we’re looking at you, chicken nuggets). Today, even if you don’t always realize it, something on your plate likely got there thanks to food science. But the road to frozen, precooked chicken nuggets (be they meat or vegan), wasn’t a simple one. From storing our food in Champagne bottles to growing beef in petri dishes, this is a select history of food science. Today your pantry is stuffed with canned tomatoes and beans, but canning actually stretches back to the Napoleonic Wars, when, in 1795, the French government issued a 12,000-franc reward for anyone who could figure out how to preserve food for armed forces stationed overseas. Nicholas Appert, a French chef, won the challenge by using Champagne bottles sealed with cheese and lime. Appert experimented with tin cans as well, but it wasn’t until 1810 that a British man popularized tin canning with his own patent. Robert Ayars opened the first American cannery in New York City in 1812. Some early canning factories, like many industries during this period, used child labor, but canning was instrumental to get food to our troops in WWI. And from there, canned goods became a mainstay in American culture. 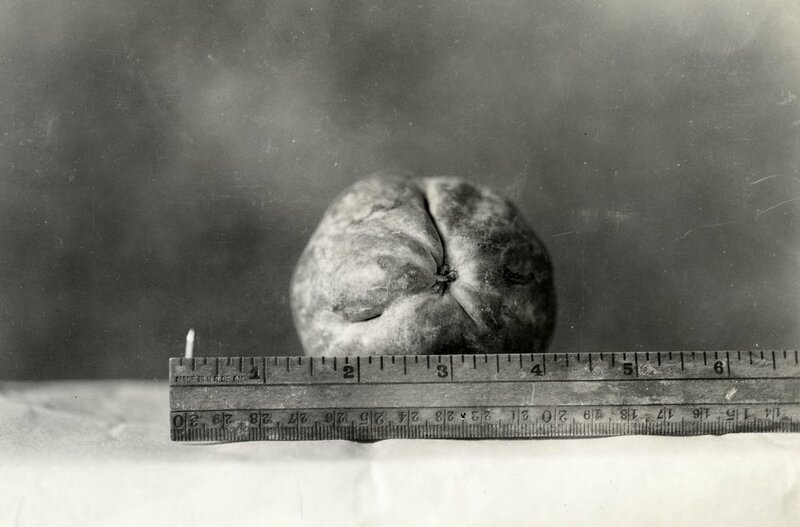 In the early 19th century, food regulation wasn’t really a thing—and that led to some pretty disgusting results as our food became more industrialized. In 1905, Upton Sinclair’s novel “The Jungle” depicted harrowing accounts of practices occurring in Chicago meatpacking facilities, from gruesome incidents of child labor (one child’s ears were so frozen, they were accidentally rubbed off), to the storage of sausage meats in rat-infested rooms, and men falling into rendering tanks to be ground up along with animal parts. New legislation, including the still-standing Meat Inspection Act and the Pure Food and Drug Act—which formed the Federal Drug Administration—would eventually force all food makers to undergo a series of safety checks before selling to the public, largely because we didn’t want to eat rat-housed sausage, or people. Today, the FDA not only mandates the ingredients and nutrition of nearly all food sold, it also regulates genetically engineered foods. If you grew up in the 80s and 90s, you likely had a kitchen stuffed with fortified foods—from Iron Kids bread to sugar-packed Sunny D—but fortifying foods goes way back. It began in the 1920s, when scientists found that iodine could prevent goiters; not long after, salt manufacturers were pressed to iodize their product. Fortifying milk with vitamin D can be traced back to the prevention of rickets and stimulating bone calcification in children. In the 1930s, a scientist determined milk could be fortified with vitamin D via irradiation (yep, that means safely exposing it to radiation—and we still do this with a variety of foods, from beef to spinach to seasonings), or by feeding cows irradiated yeast. Back then, the medical industry was so involved with marketing milk that some health professionals even considered classifying it as a medicine rather than a food. B vitamins and iron were added to flour and bread in the 30s, too, primarily because Americans weren’t getting enough of those nutrients. By the 80s, everything seemed to be fortified with calcium to prevent osteoporosis. Even Coca-Cola jumped on board with a calcium-fortified version of Tab. An ad for Swanson TV dinners for the home oven. From the questionable tasting meat to that awesome dessert in your Kid Cuisine, TV dinners changed the landscape of commercial food, but that Lean Cuisine you pop in the microwave at work came from humble beginnings. Originally designed for airline passengers and the military, the first one came on the scene in 1945 from Maxson Foods Systems as a frozen meal of three courses—meat, vegetable, potato—with each course separated into its own compartment on a paper-fiber container. In-home microwaves weren’t a thing yet, so the meals were heated with an airplane-specific device that could ‘cook’ six plates a time (a larger one, that could heat 120 meals at a time, was created for military cargo ships). Four years later, a company called Frozen Dinners, Inc. sold the first TV dinners to the consumer market. This time the food was packaged on an aluminum tray—they had to be heated in a regular oven—and the things sold like crazy. Between 1952 and 1954, 2.5 million TV dinners were sold (the term TV dinner was coined in 1954). Globally, the microwavable food market is projected to reach $136 billion by 2023. For kicks, check out this vintage TV dinner ad on YouTube. A supermarket in 1964. Photo via imgur. While military necessity gave us frozen meals, it also gave us heavily processed snacks. The military purchased a massive amount of food from big companies during World War II, and food scientists made sure that food got overseas. According to Anastacia Marx de Salcedo’s book, “Combat-Ready Kitchen: How the U.S. Military Shapes What You Eat” inventions like dehydrated cheese, better-preserved bread, powdered drinks, powerbars, and mechanically separated and scientifically reshaped meats—or “fabricated modules of meat”— both fed our overseas troops and cut costs. After World War II, these food giants now had new types of food to sell (what can we do with all this dehydrated cheese? ), so they created new products— like Cheetos, invented in 1948— and sold them at the supermarket. Americans, having been relieved of war rationing efforts and enjoying a booming economy, gobbled up the new foods. By 1954 five million Americans were considered obese—a shocking number at the time. In 1945, Percy LeBaron Spencer discovered the microwave by accident. He was working for the Raytheon company as a military contractor developing radar technology for the Allies when, one day, he noticed a candy bar had melted in his pocket. He was standing next to a magnetron—a complicated device that creates microwaves—and started to experiment. Eggs exploded, corn kernels popped. 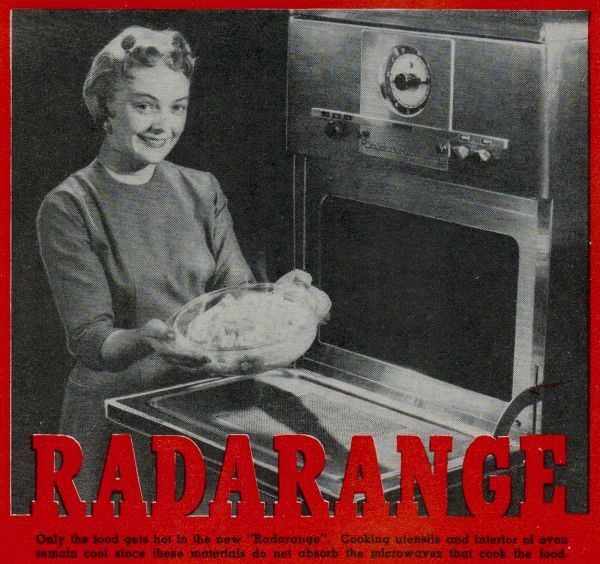 Spencer filed a patent, and the first microwave, the Radarange, was sold in 1947. It was almost 6 feet tall, weighed around 750 pounds and cost about $3,000 (about $35,000 today when adjusted for inflation) and was designed for commercial use. The first microwave oven for home use debuted in 1955 with a retail price of $1,295 ($12,200 today). Microwaves wouldn’t really catch on until the mid-80s, when a quarter of American households owned them. In 1986, microwave oven-safe trays were introduced to the market, and by 1997, 90 percent of American households owned the ultra-convenient oven. The microwave even sparked a whole new genre of recipe books. This 7-Up ad from 1955 advises women to mix milk with the soft drink. Image via Duke University Digital Repository. When it comes to modern-day junk food, food scientists have artfully manipulated the precise amount of salt, sugar, and fats consumers need in order to get hooked on their product and purchase yet another bag of chips. And there’s a ton of money in it. According to a New York Times article, Frito-Lay spends more than $30 million employing almost 500 people at a research complex figuring out how to make you want to endlessly shovel chips and soft drinks down your gullet. No aspect of taste or the act of eating goes unnoticed—case in point: The company has a $40,000 device that simulates chewing. It found the perfect crunch point of a chip was 4 pounds of pressure per square inch. Your diet doesn’t stand a chance against that sort of research. In 1973, two scientists developed breakthrough genetic engineering technology, allowing DNA molecules from one organism to be extracted and inserted into another. Twenty years later, in 1994, the first genetically modified organism hit the market after FDA approval. It was known as the Flavr Savr tomato, and the company that produced it, Calgene, used genetic engineering to make the tomato lasted longer on the vine and during shipping. Monsanto bought out Calgene in 1997 (and Bayer purchased Monsanto in 2018). Today, GE crops are extremely widespread—93 percent of soybeans and 88 percent of corn in the U.S. are genetically engineered. 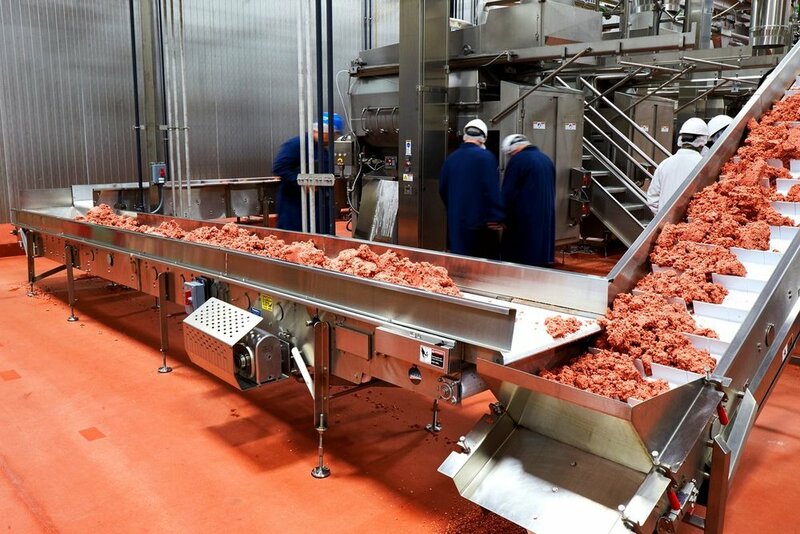 Plant-based ‘meat’ rolls down a conveyor belt in Impossible Foods’ Oakland plant. Photo via Impossible Foods. While TV dinners, Cheetos, and fortified milk are all grocery store staples, the 2010s have ushered in a whole new era of food science: lab-grown burgers. Scientists have figured out how to make veggie burgers ‘bleed’ by harvesting bloody-tasting molecules from soy and continually trying to make these new-wave veggie burgers taste like animal flesh by using complex computer systems and lab tests. But it isn’t only veggie burgers—biotech companies are starting to grow “clean” or “cultured” meat by using real meat and feeding it nutrients to make it grow–in essence, tricking the cells into thinking they’re still part of the cow, and growing it into a slab of beef. This technology is still under development, but it’s piqued the interest of both billionaire companies and individuals.